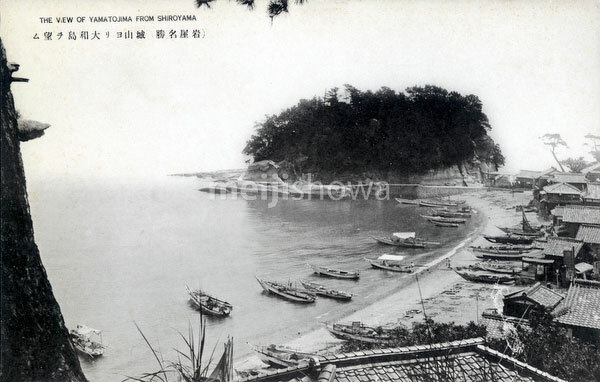 Fishing boats at the village of Iwaya (now part of Awaji City) on the island of Awajishima, Hyogo Prefecture. The island in the back is Yamatojima island. It used to be feared as a place where divine spirits dwelled. Yamatojima is now part of a ferro-concrete harbor, and the beautiful sandy beach has vanished. Also see 70130-0008 – Iwaya.